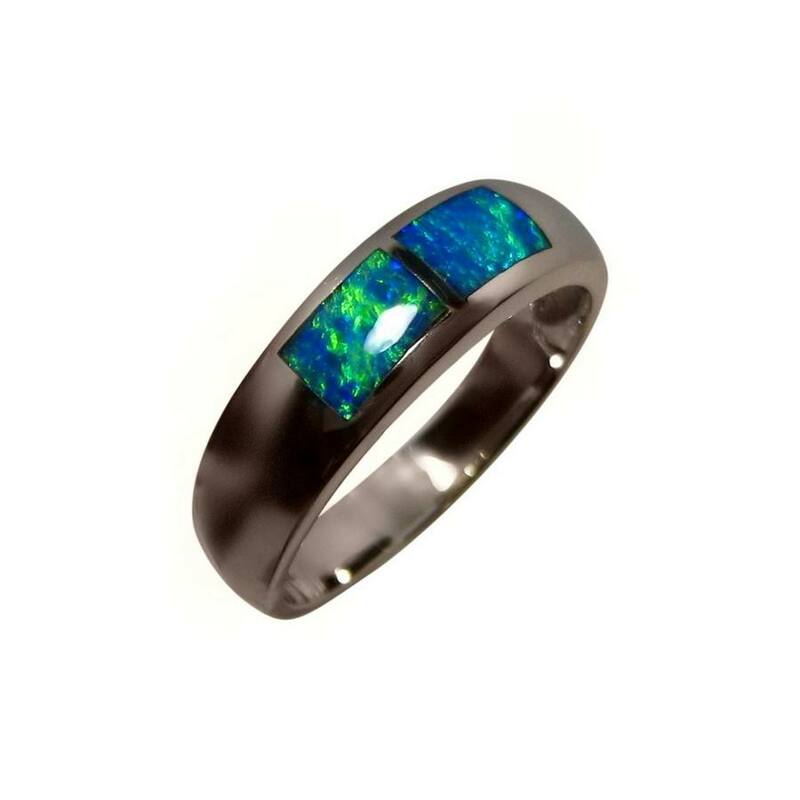 18k White Gold Opal ring with two very bright Blue and Green inlaid Opals. In stock and ready to ship. 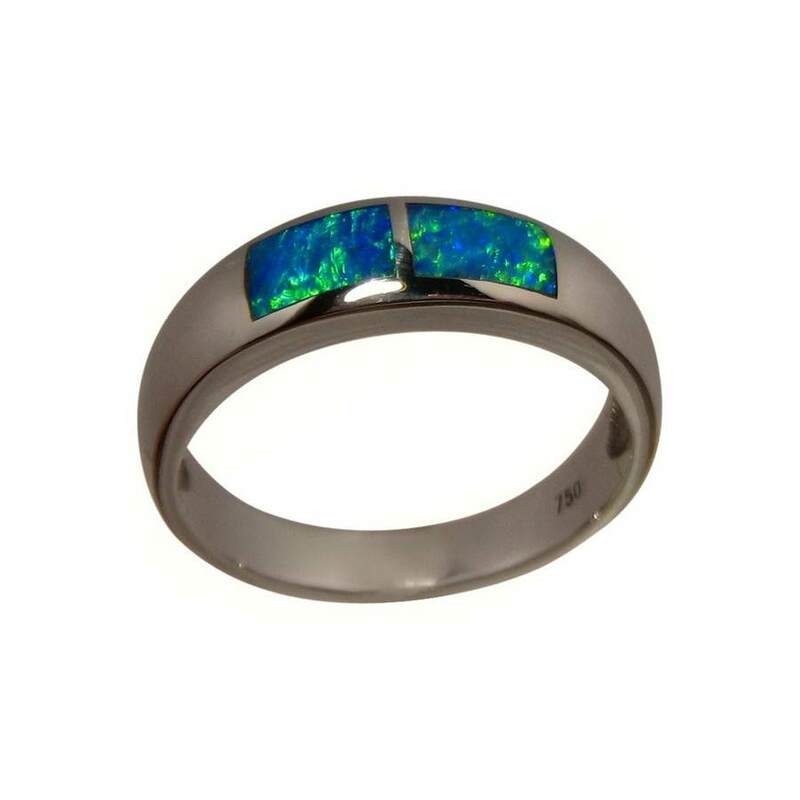 This Opal ring could be worn by women or men and is a simple band of 18k White Gold that is inlaid with two very bright Opals. 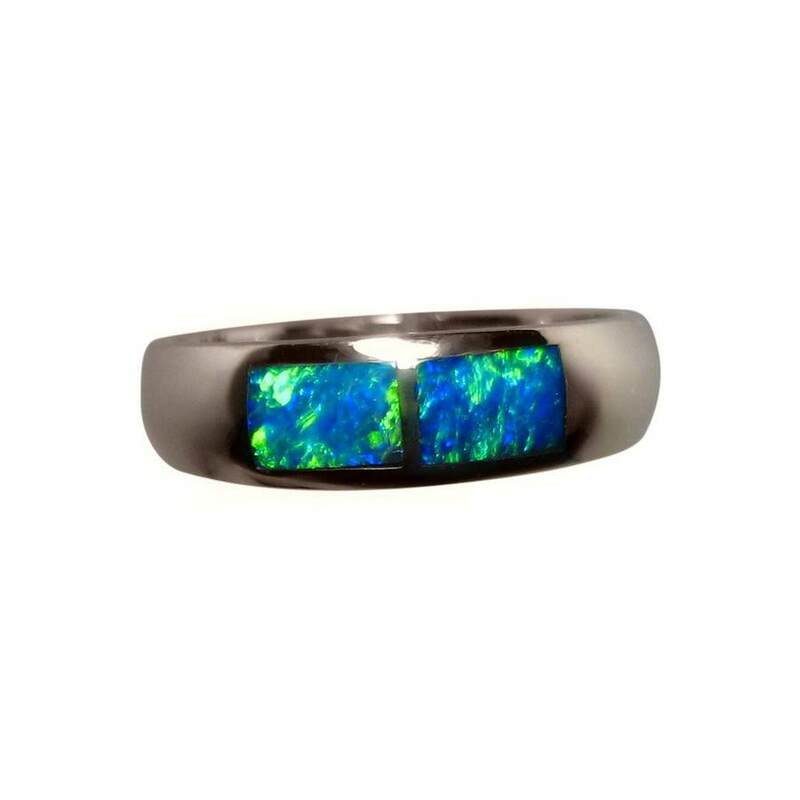 The Lightning Ridge Opals flash very bright Blue and Green which stand out against the White Gold and you will see the play of color in the Opals and the high shine of Gold in the video below. 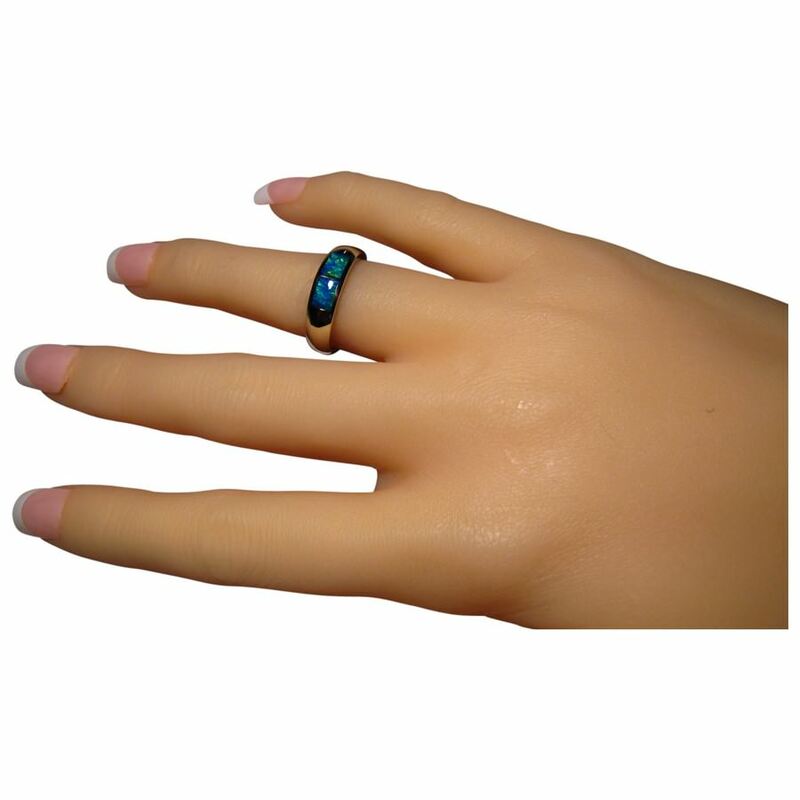 It is ready to ship as detailed below or one can be made in any other ring size or Gold color which will take about one week to make before images are provided for your approval to ship. 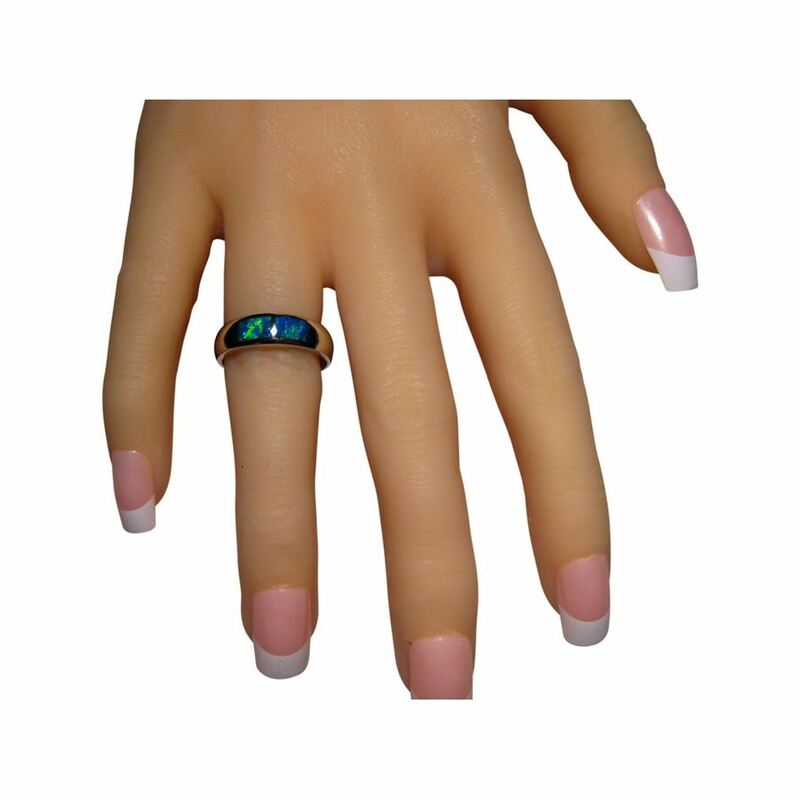 Whenever I purchase opal, I go to Flashopal - the best!